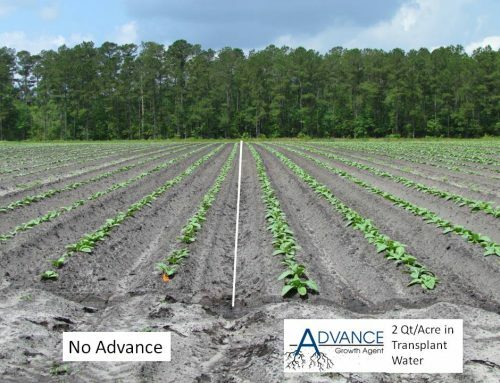 ADVANCE your tobacco crop’s early season growth and development with Coastal’s Advance 6-24-6 RTU product. Newly transplanted tobacco plants treated with Advance recover quicker following transplanting, begin to grow quicker and develop a better root system than untreated transplants. 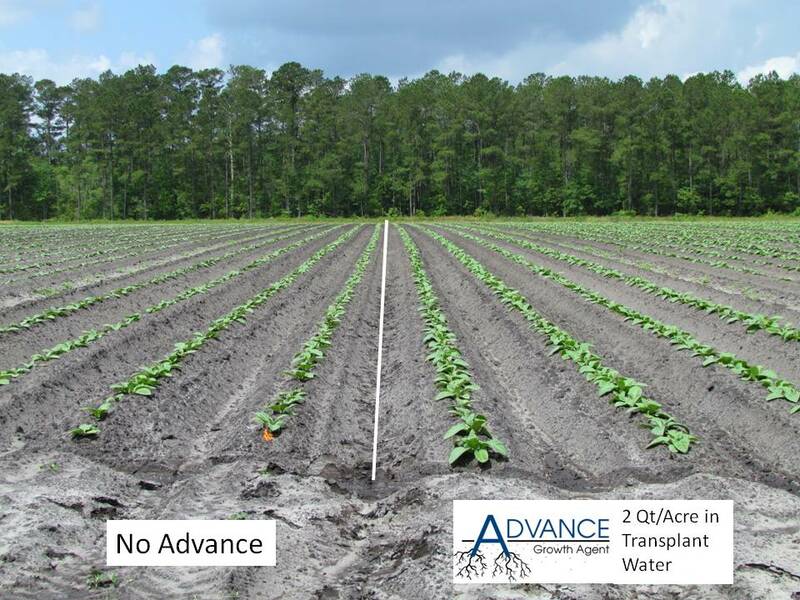 Advance is a plant growth enhancer containing a blend of highly-refined nutrients and natural carboxylic acids. 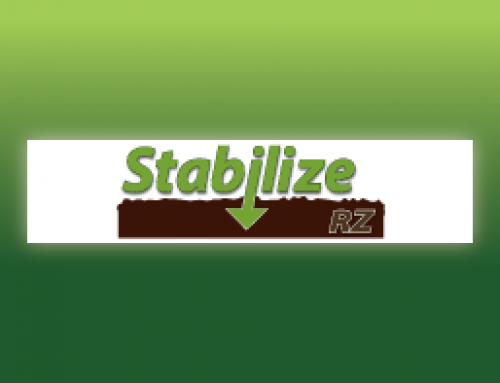 The clean 6-24-6 starter fertilizer plus micronutrient package gives young plants a boost of important nutrients for a strong start and improved plant vigor. The natural carboxylic acids solubilize the nutrients for better availability, absorption and uptake. 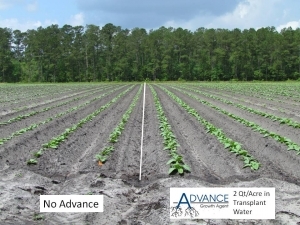 Advance is typically applied 2-3 qt/A in transplant water. Getting off to a strong start with Advance is important for growing a uniform crop. With a uniform crop, it will be easier to control suckers, make harvesting decisions and ultimately maximize your yield potential. 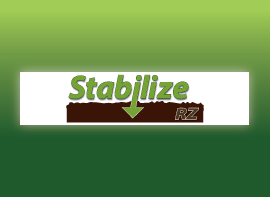 Contact your Coastal AgroBusiness representative for specific application recommendations. 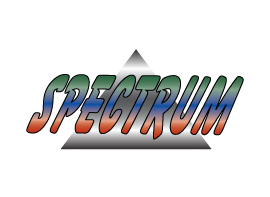 Advance is a product of Coastal AgroBusiness, Inc.